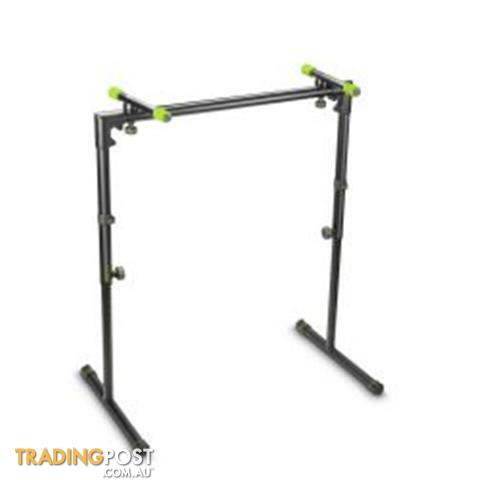 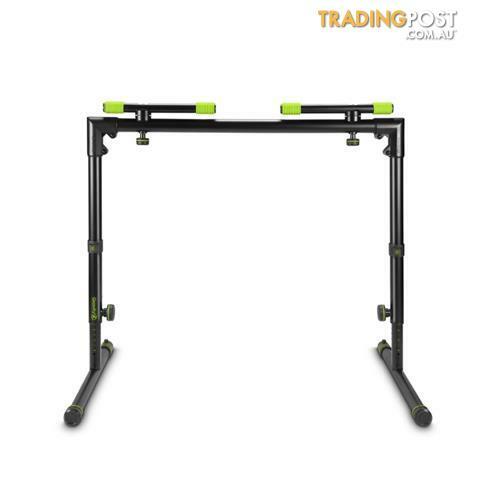 GRAVITY STANDS GKSTS01B KEYBOARD STAND TABLEThis keyboard stand with table-like construction offers superior stability making it particularly suitable for heavy keyboards. It is height-adjustable in small incremental steps, making the stand suitable for both seated and standing applications.The legs can be fitted in two basic configurations – either perpendicular to the vertical structure or angled outwards slightly – the latter configuration offers additional stability and more leg room. The top rests can be adjusted to the width of the keyboard and can also be angled in small incremental steps over a range of 360 degrees. 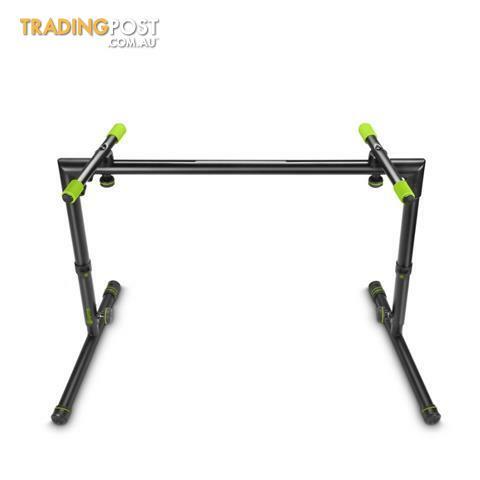 All in all, this solid steel construction comprises all features possible in such a design without compromise.For transport, both the legs and the top rest can be folded inwards, resulting in a very compact transport height. 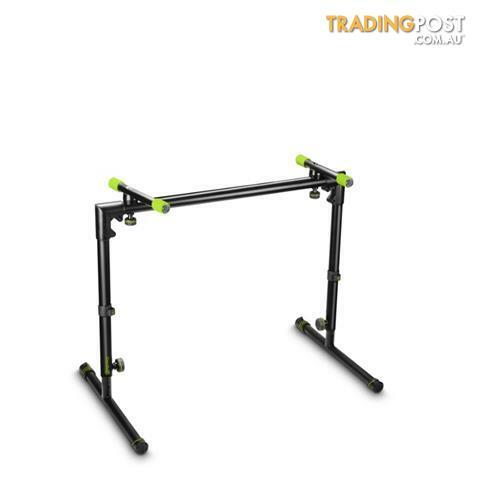 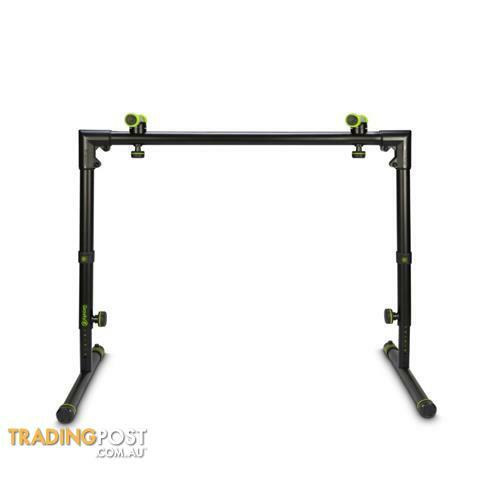 The stand includes one VARI-FOOT® leveling foot to compensate for ground irregularities.TECHNICAL INFORMATIONProduct type- Stands and Tripods Type-Keyboard stands Material- steel Surface- powder coated Colour- Black Decks-1 Max. 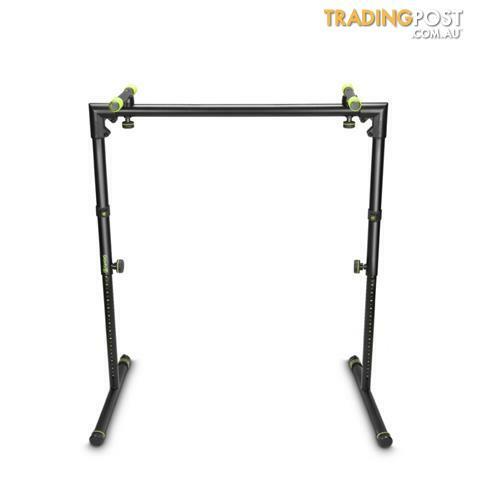 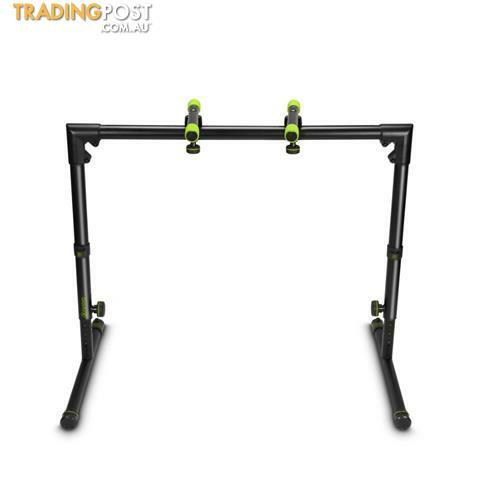 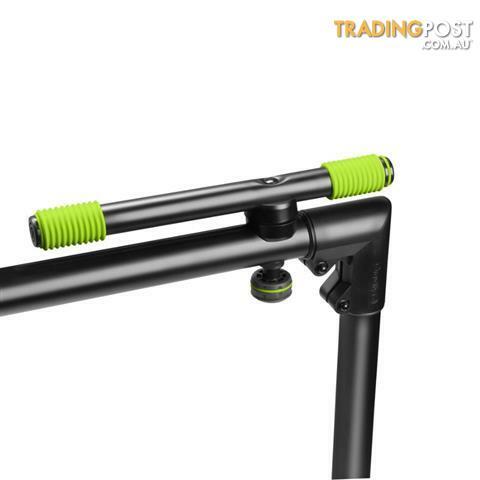 support depth -340 mm Support arm spacing adjustment range-230 – 730 mm Min height: 735 mm Max height 1155 mm Width 950 mm Width (when folded) 1300 mm Max load (support) 90 kg Interchangeable rings 6 x 20 mm , 6 x 30 mm Black ring pack included yes Weight 6,9 kg.